ensure maximum exposure for your b2B and B2c message! 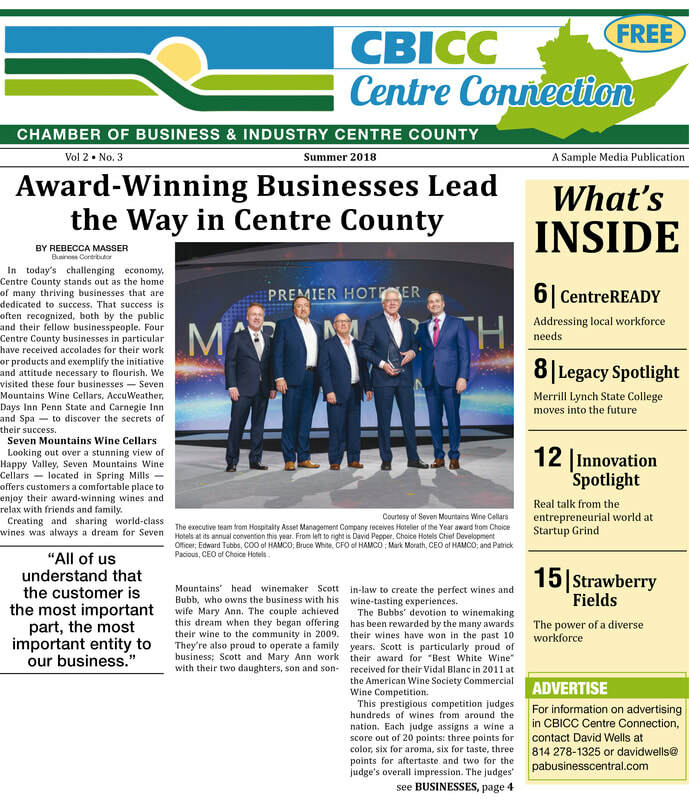 Centre Connection -- Mailed to all CBICC members and available to the general public at strategic locations throughout Centre County -- and beyond! Special rates are available for new CBICC members. The deadline to reserve ad space for the winter edition is Monday, Feb. 11. Ad copy is due on or before Tuesday, Feb. 12. Advertising is handled by David Wells, Sample Media. For details, contact davidwells@pabusinesscentral.com; 814 278-1325 or 814 321-8729 (cell). Learn more. 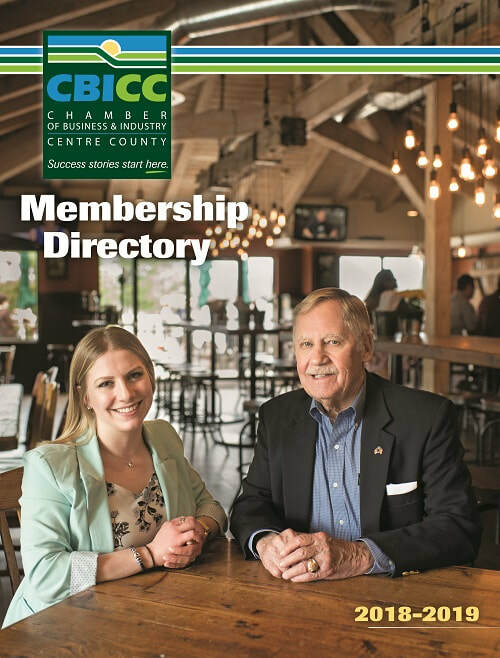 2019-20 CBICC Membership Directory -- All CBICC members receive a free listing in the annual Membership Directory as a benefit of membership. However, there are paid advertising options to make sure your business stands out a little more. Members have the option of purchasing a standard listing, expanded listing or premium listing. Barash Media handles production and ad sales for the Membership Directory. The advertising space reservation deadline is Friday, April 12. Ad copy/camera ready ads are due by Monday, April 22. Purchase an ad in both publications and save 30 percent on the Directory. For details, call Barash Media at 814 238-5051. Learn more. 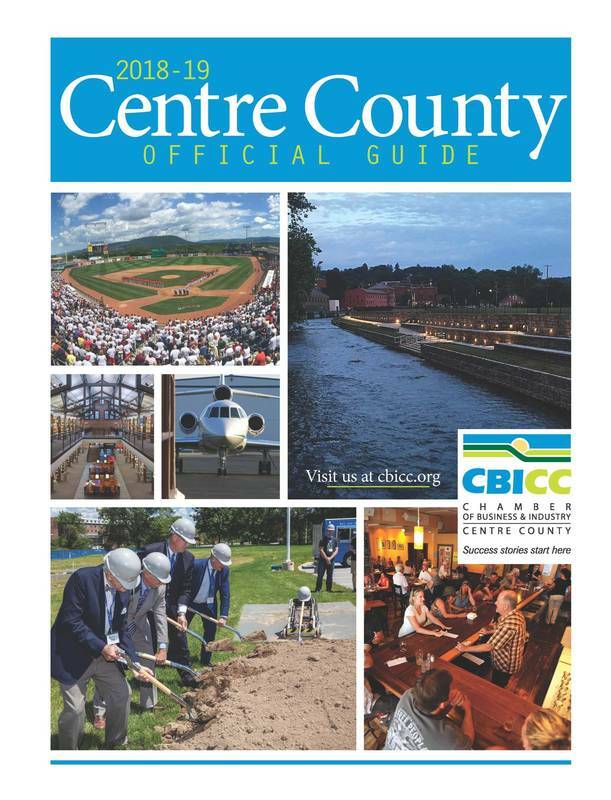 2019-20 Guide to Centre County -- Produced in partnership with Barash Media, the annual Guide to Centre County is THE resource for living, working, playing and doing business in Centre County. The Guide is distributed to thousands of businesses, residents, new residents, visitors, and is often provided to businesses looking to Centre County for investment . It's year-long shelf life means your message reaches potential new customers and clients for months on end! The advertising space reservation deadline is Friday, Feb. 8. Ad copy/camera ready ads are due Thursday, Feb. 21. For details, call Barash Media at 814 238-5051. Learn more. 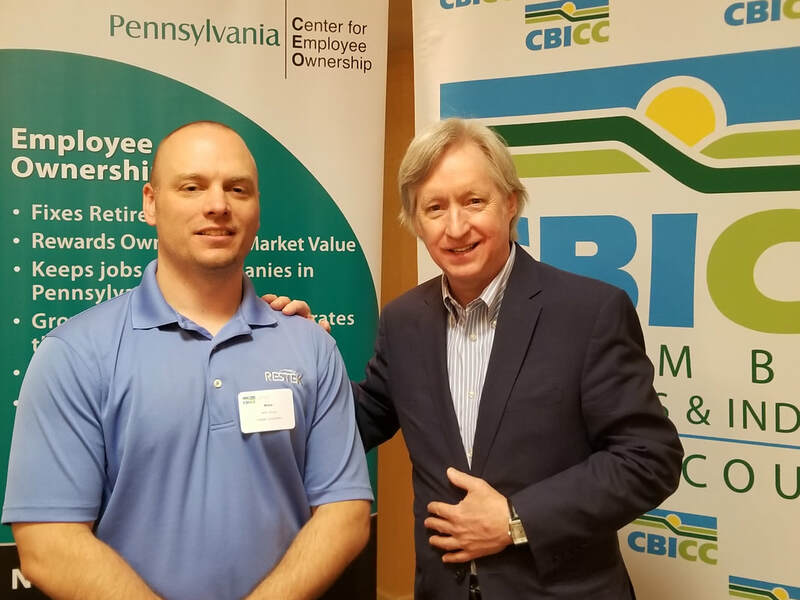 CBICC membership provides a number of FREE avenues to promote your business, as well as cost-effective, high-profile sponsorship and advertising opportunities that bring visibility to your organization. Online Membership Directory listing -- The CBICC's online membership directory is often the first stop for tech-savvy consumers interested in finding a local business. The directory search engine matches your business to potential customers -- and with a link to your website, your business is just a click away. Printed Membership Directory listing -- CBICC members are featured in the Chamber's popular, free hardcover Membership Directory, published in partnership with Barash Media. With both alphabetical and categorical listings, the annual publication is frequently used as a phone book. The directory has broad distribution throughout Centre County. 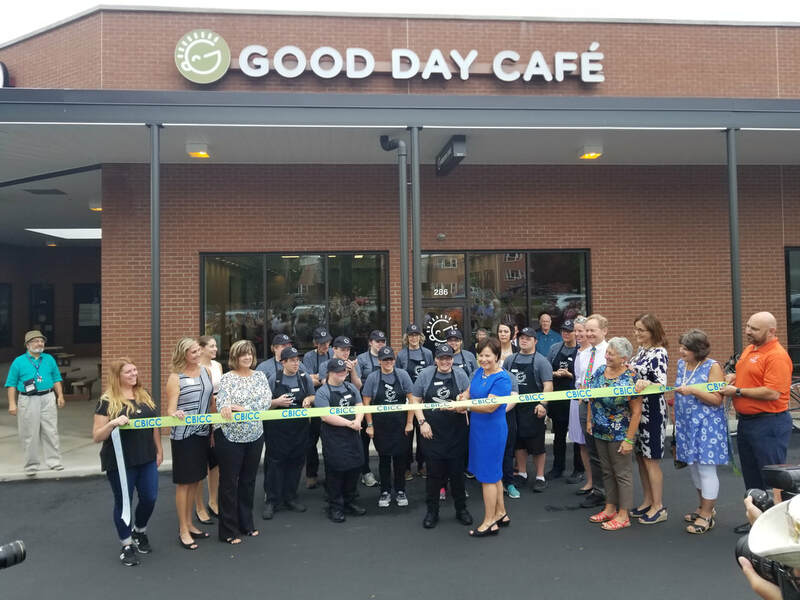 Ribbon cuttings -- The CBICC welcomes the opportunity to hold ribbon cutting ceremonies for member business/organizations celebrating important milestones, from new business openings and re-openings to major renovations and expansions, etc. To schedule a ribbon cutting, email Nicole@cbicc.org. Opportunities to share YOUR news -- CBICC members are welcome to submit hiring and event announcements and other news for potential inclusion in InfoCentre, the Chamber's monthly electronic general membership newsletter, and for possible inclusion in Centre Connection, the CBICC's new quarterly printed membership/community newsletter. Email lkistner@cbicc.org. Opportunities to share YOUR expertise -- The Chamber often looks to its membership for program/seminar topics, and to offer business advice in its publications, including the new quarterly printed newsletter - Centre Connection. Advertising/event sponsorship -- Advertising opportunities are available on the CBICC website; in the Chamber's online InfoCentre newsletter; the CBICC's printed Centre Connection newsletter, published in partnership with Pennsylvania Business Central; and in special publications, including the annual Guide to Centre County, published in partnership with Barash Media. Interested in advertising or sponsoring? For advertising opportunities or sponsorship information, contact Lesley Kistner, Vice President, Communications/Marketing, at lkistner@cbicc.org or 814 234-1829, ext. 2.